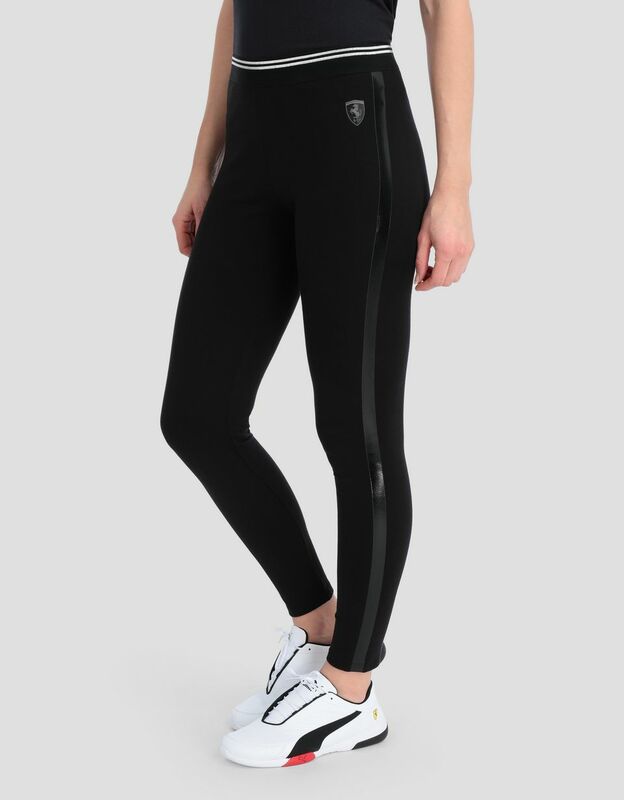 The iconic character of the Scuderia Ferrari leggings in Milano ribMilano rib is a jersey type fabric that is extremely soft to the touch and is especially versatile as it can be used with a wide range of fits and styles. 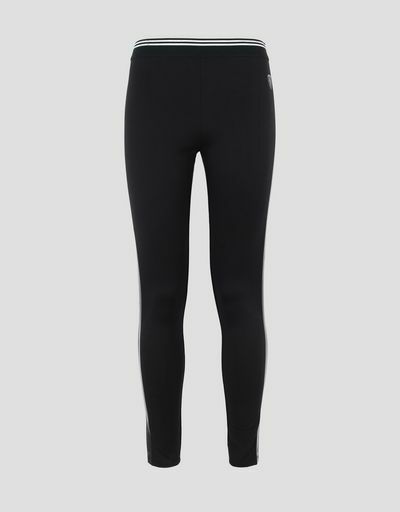 is repeated by the metallic lines at the waist and the PVC stripes on the legs. 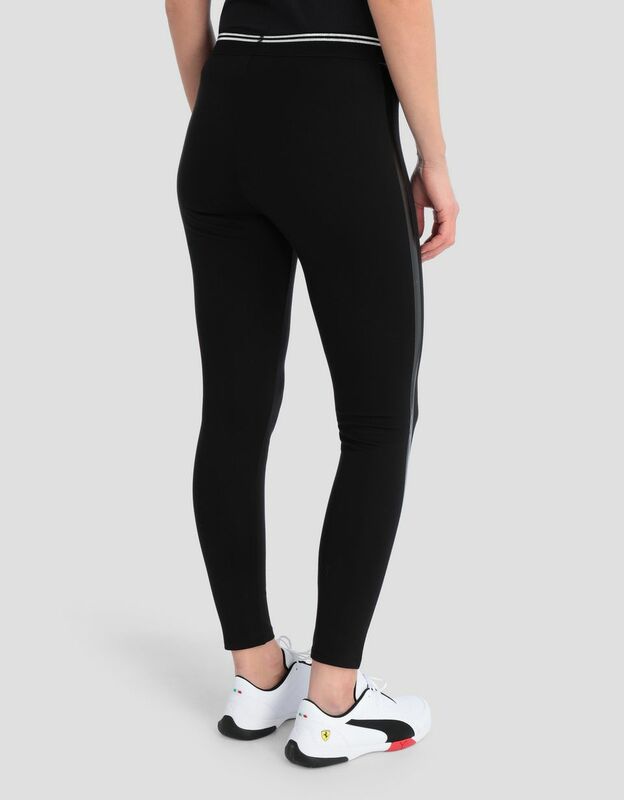 The new leggings, which combine a timeless style with futuristic details, stand out for their softness and perfect wearability. 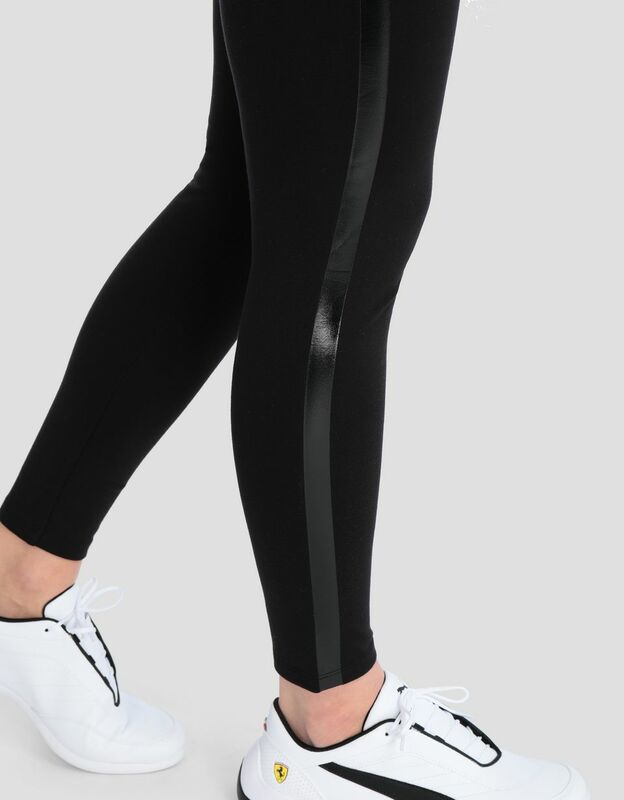 Two tone-on-tone PVC stripes, inspired by the design of dinner jacket trousers, run down the legs. Two stripes in metallic silver jacquard run round the elasticated waist. The Ferrari Shield in the anthracite version completes the garment.